As a mother, you think the world of your children. But if you wish you could say the same about your post-baby body, you’re not alone: More moms than ever are struggling to get their pre-baby bodies back, but finding it difficult to do it through diet and exercise alone. That’s where The Langdon Center comes in. Located along Connecticut’s beautiful shoreline in Guilford, The Langdon Center for Laser and Cosmetic Surgery is dedicated to helping you reveal your most beautiful self yet. 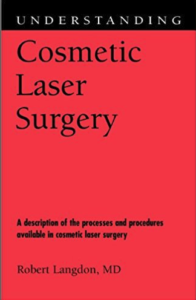 Owned and operated by board-certified cosmetic surgeon Robert Langdon, MD. 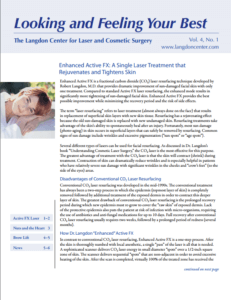 The Langdon Center is known for innovative and effective minimally-invasive treatments with quick recovery periods. In most Mommy Makeover cases, the traditional surgical abdominoplasty, with its prolonged recovery and unsightly scars, can be avoided. Natural Breast Augmentation: Unlike a traditional breast augmentation – which provides volume though a synthetic implant – Natural Breast Augmentation provides safe and permanent volume using the patient’s own fat. Langdon uses a special liposuction method to safely harvest fat from your desired treatment area (typically the abdomen, flanks, or thighs). The fat is then purified and used as a fat graft to provide lift and volume to the breasts. Women who have been though one or more pregnancies are idea candidates for Natural Breast Augmentation because their breasts are “pre-expanded” and are able to accommodate a greater volume of grafting fat. SmartLipo: Worried you won’t be able to lose the baby weight? Dr. Langdon specializes in laser-assisted liposuction, specifically via SmartLipo. This minimally invasive procedure uses the power of multiple lasers to liquefy and remove fat cells as well as to tighten the overlying skin. SmartLipo can be used on problem areas like the stomach, thighs, as well as smaller areas like the neck, jowls, and upper arms. Body-Jet Liposuction: Another great alternative to fat reduction is Body-Jet liposuction, which uses flowing water to dislodge fat from its surrounding connective tissue. The water doesn’t use a lot of force, thus swelling and bruising are kept to a minimum. Body-Jet liposuction can be used on the arms, abdomen, hips, thighs, legs, and even the knees.